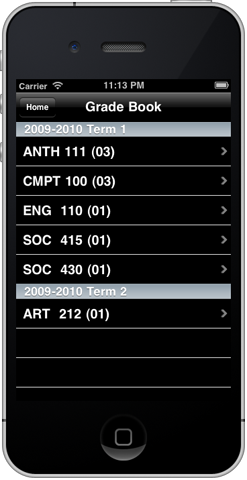 Students can view their daily schedule, a list of their classes, as well as information like class locations and contact information for their instructor. 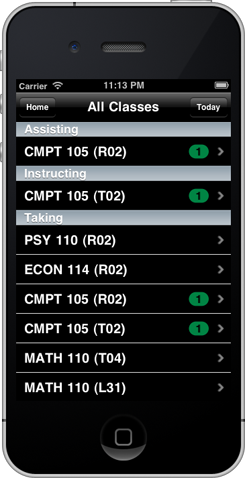 Students can access their grades and see assignment feedback. Keep a map of campus in your pocket at all times. 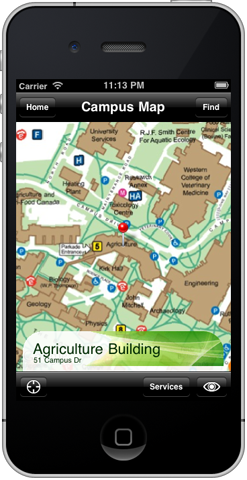 With optional GPS positioning as well as ability to search and find buildings and rooms on campus. 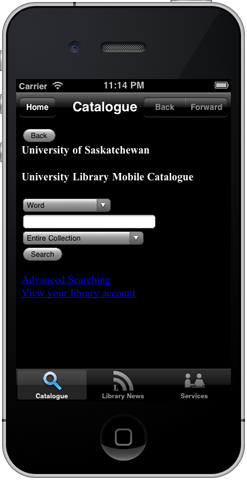 Search for books and articles straight from your mobile device. 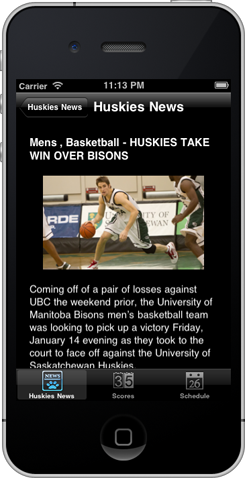 Keep the community informed with sports and other news sources from across campus. 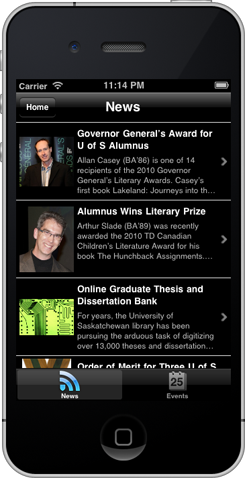 Keeping in touch with Alumni can be straightforward with news stories and invitations to events. As well as the ability for Alumni to make donations through the application. 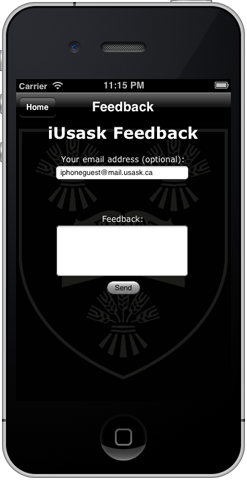 Receive and respond to feedback from your students and community.